The newest addition to the Newton family offers intelligent control for all foot types. The Isaac is a neutral guidance trainer designed for runners committed to improving their running form to the more efficient midfoot/forefoot running style. For the serious runners, Newton Running Shoes are no joke. They’ve helped me increase my speed and form. Whether this is because of the actual shoe or the fact that the shoe feels so comfortable I don’t mind training for longer periods of time, I’m not sure. all I know is that I can’t go back to regular running shoes after wearing these shoes. i think the secret lies in the NON minimalist design that forces you to run properly while not weighing down your feet. The shoes are quite light. Lighter than my old favorite New Balance shoes. I wish they were a bit cheaper but on many websites they do offer slightly discounted prices. If I were still coaching teams in cross country I would try to get my kids to buy shoes similar to these to give us an edge! 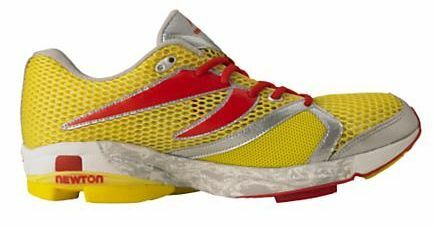 Looking at the Newton Running Shoe, without knowing the brand and their story, you would think they should be 30 buck shoes on sale at Sportsmart. Generic shoes from a company that just didn’t make it. But after trying them on and using them you would have to have a different perspective. Now I’m not sure if they similar barefoot running. I think they do improve your form just by the mere fact you use them. This could be true even without proper “Newton Running Training”. 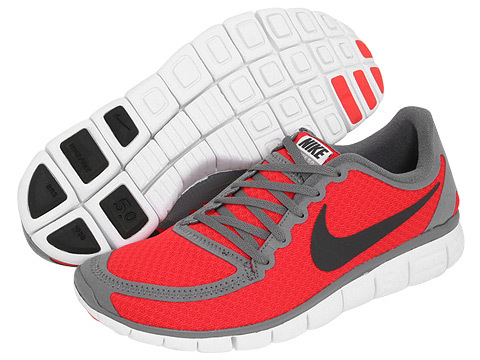 They are very comfortable and you really do feel as if you can run a long time in them. I’ve compared them to my Nike Running shoes as well as Asics and I absolutely would choose a pair of Newton Running Shoes over those.